1. What is a Jail Blotter? A jail blotter is a list of individuals that were arrested and booked into jail. Most every city and/or county jail produces some sort of jail blotter. In most cases the jail blotter is considered a public document. 2. 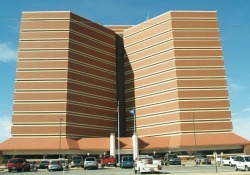 What information is contained on the Oklahoma County Jail blotter? The Oklahoma County Jail blotter contains each individual's name, date of birth, gender, race, home address, booking date/time and criminal offense.